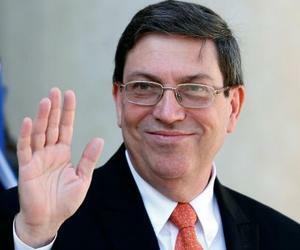 Cuban Foreign Minister Bruno Rodríguez is in New York to participate in the high-level segment of the United Nations General Assembly scheduled for September 19-25, Prensa Latina reported. Rodríguez is expected to speak at the forum on Thursday and denounce in his speech the continuing economic, commercial and financial blockade imposed by the United States on Cuba for more than 55 years, as well as calling for a new world order marked by justice and equity. In addition to his address to the main UN deliberative body, which brings the 193 member states of the organization together, the Cuban diplomat must carry out an intense agenda with several meetings and bilateral meetings. According to the provisional list of speakers, more than 130 heads of State and Government will participate in the high-level debate of the 72nd Session of the General Assembly.